Cliffside Mill was put into operation in 1902 and both the Baptist and Methodist churches were organized about 1903, so we can assume the cemetery was organized about 1903. Several graves whose occupants died before 1903 were moved from other cemeteries. One hundred eighty one graves are unidentified. A number of graves were moved from a cemetery near Broad River to make room for an addition to the mill. These (so I am told) are mostly in Section D and are listed as unknown. Others were moved from other cemeteries including Raleigh Haynes’ two wives, Amanda Haynes (died 1890) and Litha C. Haynes (died 1892). The earliest death on record is William Haney’s (Section E, lot 440, grave 3) who died on Sep. 7, 1855 at the age of 80. He would have been born in 1775. Martha W. Haney (section E, lot 440, grave 4) was born on Dec. 28, 1816 and died on Jun. 18, 1887. A Haney family once owned land near that on which Cliffside was established. These graves may have been the nucleus around which the cemetery was formed. The oldest person buried in the cemetery was Mrs. Jessie Jenkins Owens who was 102 (section H, lot 574 grave 7). A granddaughter of R.R. Haynes, the founder of Cliffside, she was born in 1898 and died in 2000. There is one Spanish-American War veteran in the cemetery, Thomas L. Blanton 1867-1937 (Section F, lot 484, gave 3). We have copies of most of the cemetery deeds. Of those we have on record, the first full lot deeded was (Lot 111, Section B) to R. B. Watkins on May 20, 1909. The first recorded half lot sold was the western half of lot 557, Section I, to Mrs. Junie Smith on Sept. 28, 1945. The last two lots sold in the old section were lots 616 and 617 in section G. Lot 616 was sold to W. H. “Bill” McNabb and lot 617 was sold to R. C. “Tubby” Hawkins on April 19, 1971. A significant event at the cemetery occurred in the summer of 1917. It was the erection of the large marble tomb for R.R. Haynes and his two wives. Haynes had died the previous February. See The Tomb Builders in our History section. 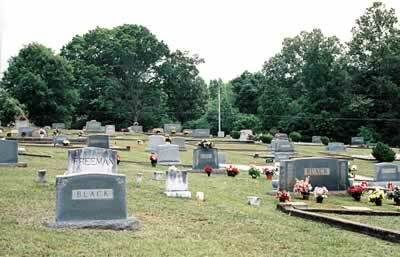 Up until the late 60s the cemetery was maintained by Cone Mills. They usually cleaned it once a year (for Memorial Day). In 1969 the Cliffside Womens Club, with Cone Mills’ consent, took on cleaning the cemetery as a project. They started soliciting $10 per year from the lot owners to pay for the maintenance. Mr. &amp; Mrs. McKinley Earley were the first caretakers. After a year or so, when it was evident that the project was going to be a success, they set up a trust fund and gave the lot owners the option of making a one time donation of $100 in lieu of the $10 per year. 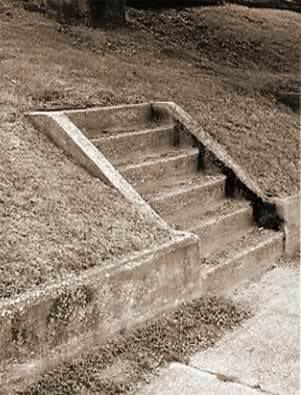 This was placed in an interest-bearing account and only the interest was used to maintain the cemetery. Around 1984 a non-profit corporation, Cliffside Cemetery Project, Inc., was formed and chartered by the State of North Carolina. The officers were Horton Landreth, president; Gladys Hames, vice-president; and Elizabeth Biggerstaff, secretary-treasurer. Soon after, Cone Mills deeded the old 6.48-acre cemetery to the Corporation. Sometime in the late 80s Cone Mills donated an additional 3.06 acres on the upper side of the old cemetery to the Corporation. One acre was developed and contains 587 grave spaces. The first grave in the new section was sold to Mrs. June Davis on May 19, 1991 for the burial of Brown Lee Davis (Section K, L-5, grave 44). At this writing in July 2007 the officers of the corporation are Buzz Biggerstaff, president; Scott Houser, vice-president; Osteen Norville Sanders, secretary; Dee Webb, Treasurer. Directors are Frank Splawn, Bob Hawkins and Donny Splawn.